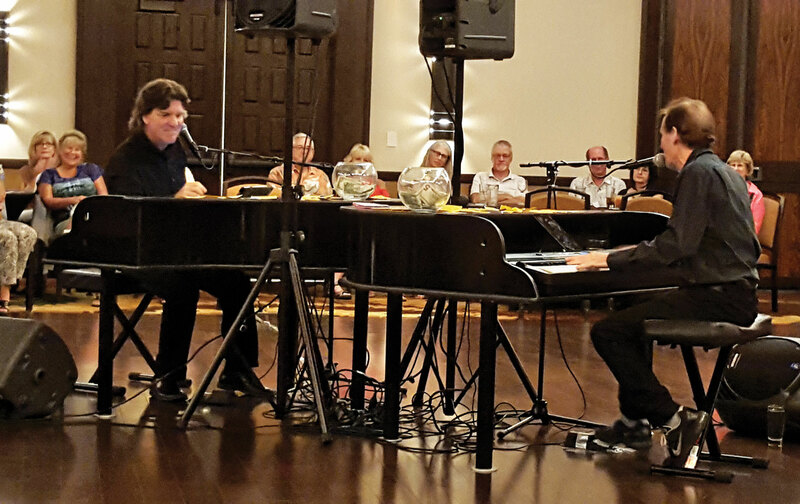 The 4th of July weekend was off to a great start on Friday night when over 100 Robson Ranch residents were treated to Black Box Production’s Dueling Pianos in the Hermosa Ballroom. Two pianos were set up in the center of the room on the dance floor with tables surrounding them. Everyone had a good view of the performers. Pianists Pete Wilson and Steve Kostakes are part of a team of five pianists who play throughout the state, rotating performers so each show is a little different. Prior to the start the audience was provided with request slips, and the evening began with several numbers involving favorite or hometown cities, (New York, Chicago and Kansas City). After that introduction the requests just kept on coming. For nearly two hours and with only a very brief break, Pete and Steve performed non-stop, high energy renditions of songs ranging from Jailhouse Rock and Mustang Sally to Bohemian Rhapsody and Crocodile Rock. The range of artists requested included Frank Sinatra, Dean Martin, Billy Joel, Bob Seeger, Jerry Lee Lewis, Willie Nelson, The Beach Boys, Neil Diamond, Bobby Darin, Johnny Cash, Elton John and numerous others. 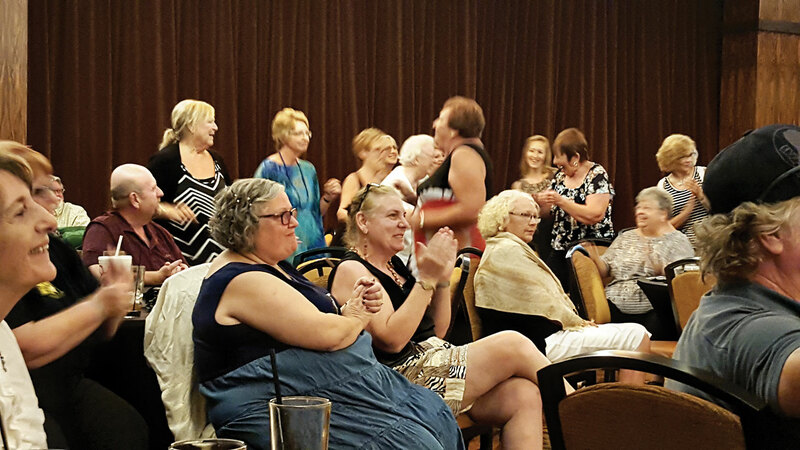 Pete and Steve encouraged audience participation by infusing songs with sing along, acapella and “fill in the lyrics” challenges. Toward the end of the evening those who just couldn’t sit still any longer gathered in two sections of the room, on their feet, groovin’ to the beat. It was a fun, relaxing and light-hearted way to spend the evening.